When a tyre loses a few millimeters of its tread it doesn’t have to be thrown away, but it has to be brought to a new life, as it still maintains its specific structural qualities unimpaired. Eliminating and replacing the worn out tread, the tyre can be given back features completely similar to the original one: in fact, the tyres retreaded according to the Ece Onu 109 regulations, compulsory all over Europe, suffer the same controls and resistance and quality tests as new tyres. Therefore, retreading tyres means extending the life time of the product improving its yield in kilometers, valorizing the casing and exploiting completely the investment already done by the purchase of the new tyre. ln fact, the casing represents approx. 70% of the total value of a tyre. Moreover, every year Customers choosing to use retreaded tyres save money and protect the environment. To build a truck tyre 70 kg of rubber are needed for the production of which 100 liters of oil are needed. If the tyre is not retreaded after its first use, this amount of raw materials would be lost through disposal. Instead, by retreading, it is re-covered in great part, adding only a limited quantity of raw materials to replace the worn out tread. The problem of tyres disposal is particularly heavy; approx. 100 years are needed in order for one only tyre to get completely deteriorated and the impact of this procedure on the environment is highly harmful. 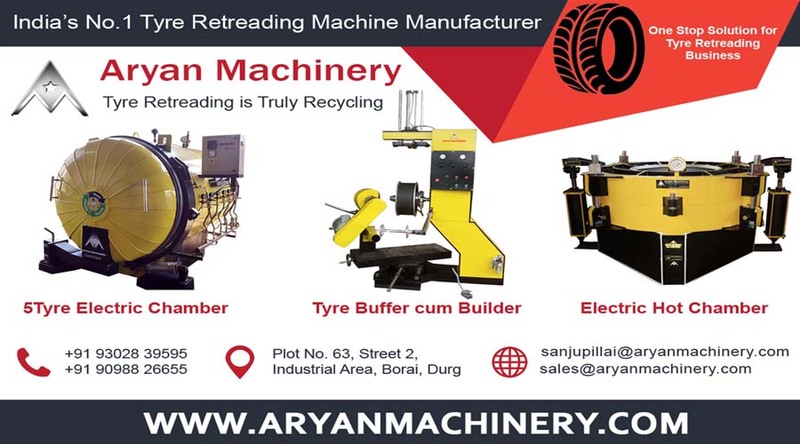 Thanks to retreading, every year it is possible reducing the wastes production and avoiding the introduction to dumping of thousands of tons of used tyres. The need to replace the tyres of circulating vehicles involves the need to get rid of approx. 180 million tyres per year in Europe (30 million in Italy only) with a negative impact on the environment that can be easily imagined. Retreading a higher number of tyres using frames which revealed to be still perfectly entire after accurate controls after the first use, allows to contribute considerably to safeguard the environment. The technologies employed by our company for the manufacture of our machines always allow us to offer to the market high quality products. INSPECTION: it consists of an inside and outside analysis of the tyre in the aim to find aspect and structural faults, executed both by expert technicians and by the support of equipment technologically in the van. BUFFING: it is the operation by which the residual tread is eliminated from the casing. REPAIRING: in this phase eventual structural damages of the casing are considered and repaired, restoring the optimal conditions of the casing. 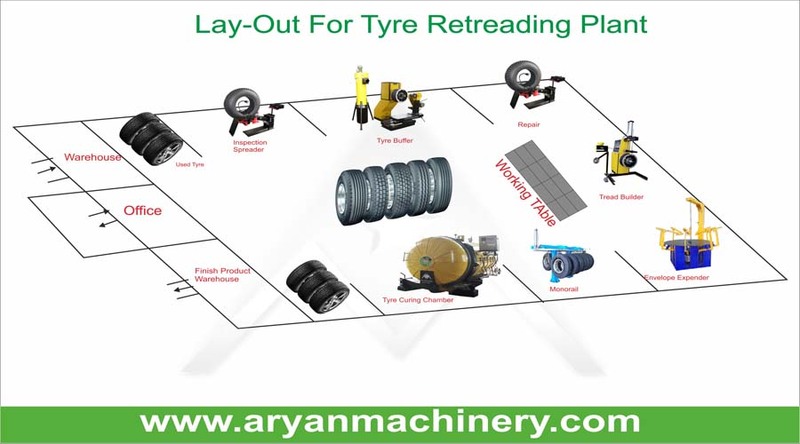 BUILDING: by different treatments and the aid of automatic machines, the new material is applied onto the casing (rubber compound) to retread the new tread. 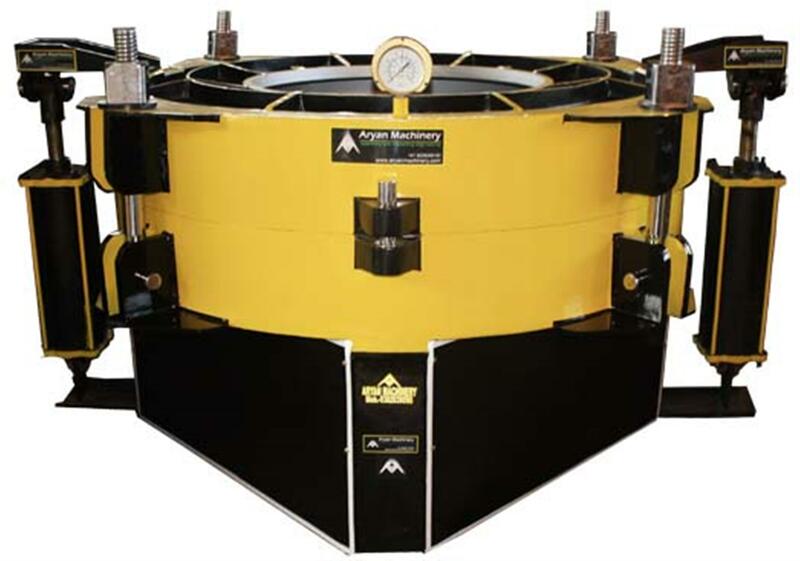 CURING: the casing, complete with new materials, is submitted to the curing procedure to obtain the tread profile desired. FINAL CONTROL: this phase represents the last ring of the continuous chain of quality controls executed during the whole retreading procedure and it has the aim to check that the finished tyre responds to all technical and aesthetical speciﬁcations foreseen in our quality standards. Only when it got the corresponding approval, the tyre is given back to the Customer.